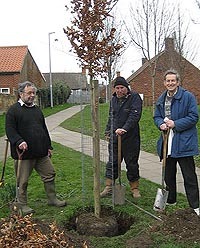 Since the foundation of the Barton upon Humber Civic Society in 1969 there have been many achievements and a huge amount of work done for the town. Some of this is obvious, some not so. 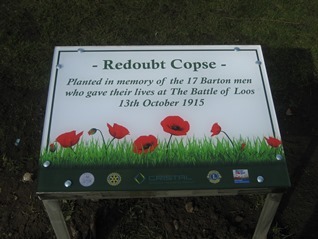 Some of the more visible work done are the plaques. The Society issue annual award plaques and position information plaques around the town on important buildings. 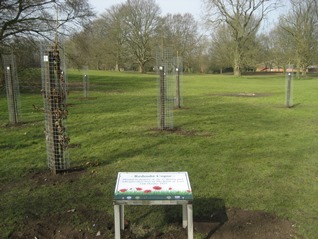 For more information view the plaques page of this site. Some other more visible work the society does are the (almost) monthly public lectures. These are usually held at the Assembly Rooms and include a wide range of topics, including a talk in 2009 by Dan Cruickshank. There was an illustrated talk in 2012 by Professor Warwick Rodwell OBE, on the excavations of St. Peter's church, and the development of the town (details). 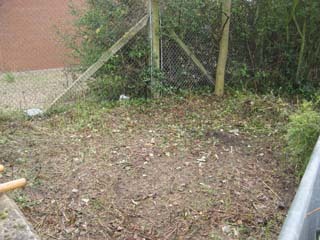 There is also the annual tree planting (2010 details) which usually takes place in the spring in areas which are in need of a bit of improvement, along with bulb planting and clearing of rubbish. The Society produce numerous publications, including the Town Trail and the self-guided Walks leaflets (available for download here). 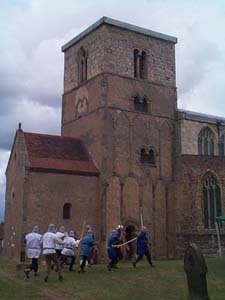 The Society also holds competitions for the Town's children and organises family fun days which in the past have included Victorian Days, a Medieval day and a Jubilee Day. This is not a definitive list of what the Society does, and details/images of other things done by the Society will be added to this page as and when they become available. 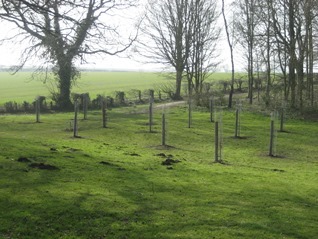 Planting of the Redoubt Copse in March 2016, done jointly with other local groups. 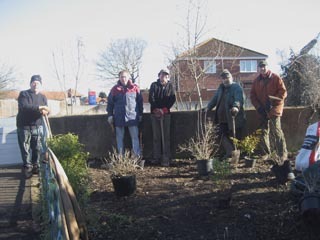 Tree planting in 2007. One of the Society's publications. Medieval Day. Some of the less obvious but probably more important work of the Society is in the behind-the-scenes work it does preserving the heritage of the town. One of the earliest ambitions of the Society was to see the restoration of the derelict, but impressive, tower windmill on Market Lane. Initially it was the intention of the Society to acquire the building on a peppercorn rent, but this failed. The Society did managed to stave off an application for demolition at a Public Inquiry in the 1980's and this lead to the eventual opening of the restaurant and public house in 1991. 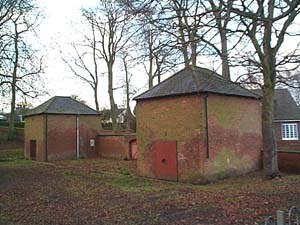 In 1971 there was a proposed road-widening scheme for Preston Lane which would have seen the demolition of the high boundary wall and outbuildings, and the loss of some of the park area and the felling of a number of mature trees. There was an acrimonious battle with Lindsey County Council and Barton Urban District Council, but a High Court judge upheld the Society's case against the sale of the park and this put an end to the scheme. 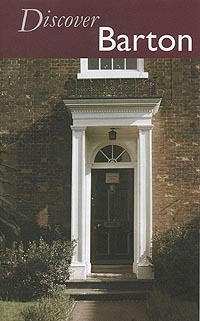 A better known achievement of the Society must be 51 Fleetgate. This building was drawn to the attention of the Society in the 1970s and when its owner, Fred Clipson, died in 1989 the Civic Society encouraged Glanford Borough Council to purchase the premises, with some financial help from the Society and the Government. This has lead to the successful open days it holds currently. Click here or more details of 51 Fleetgate. 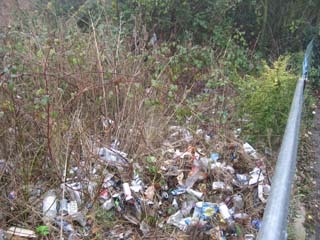 In 1987 the council approached the Society with concerns about the poor state of Waterside Road. The Society undertook a full survey of the area and produced a Report aimed at focusing attention upon its importance as a main tourist route in the Town. 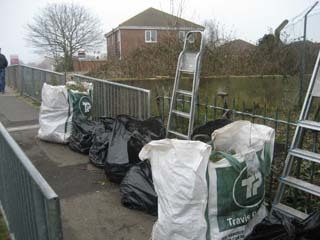 This, along with Humberside County Council was successful in raising the profile of the whole area. Another recent major achievement is the opening of the Wilderspin National School in Queen Street. After the schools closure in 1978 the Society gradually realised its importance and, after four years, began to press for the restoration and re-use of the School. The Society's Newsletter of 1983 showed its passion for the school, it read "Our Society sill never accept the need to demolish the Church School. IT IS AN ESSENTIAL PART OF A UNIQUE GROUP OF BUILDINGS IN OUR TOWN". 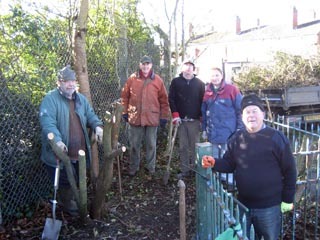 Over the next 10 years a huge amount of effort by Members and friends staved off the demolition of the School buildings, even though Humberside County Council had obtained Planning Permission to clear the site and erect a new Police Station. It was a sad day when, in 1987, the School House was demolished but in 1992 the remaining buildings were given Grade II listing. This lead to a public meeting and the formation of the Queen Street School Preservation Trust. 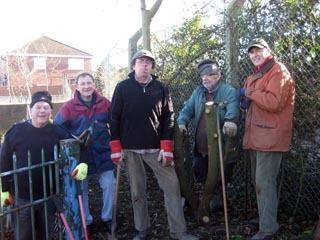 That Trust, supported by the Civic Society, continued the hard work which cumulated in the restoration and re-opening of the School on the 29 November 2008, exactly 30 years since its closure. Click here for more details of Wilderspin National School. Finally, after many years of effort the Civic Society managed to fulfil its original goal of restoring the Beck area back to full glory. For more details click here.. The wall and buildings at risk from the Preston Road scheme. 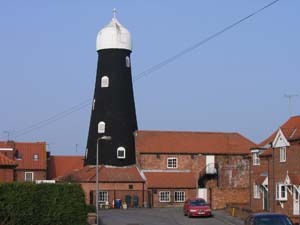 The restored mill in Market Lane.